The next Vancouver Foodster Tasting Plates’ event is centered on Fraser and Main Streets on May 1st. I checked through the list of restaurants and I think it will be a very fun event. I am especially interested in the Quesava South American baked goods and prepared foods. I’m sure the tickets to this event with the interesting restaurants, plus the longer sunny days and warmer weather will make this event sell out quickly. Get your tickets asap. Here is the announcement about the event from Vancouver Foodster. Join us and explore the Fraser to Main Street area (centered between 20th – 26th) and tantalize your taste buds at several restaurants and cafes. This evening tasting extravaganza is on Wednesday May 1 from 6pm until 10pm and is presented by Vancouver Foodster. Registration: The Main Street Honey Shoppe – this is where you will show us your printed or digital tickets and will pick up your Tasting Plates Passports and menus. ECLETTICO Art & Coffee is a new family run Art Deco steampunk styled Italian Coffee shop featuring non-alcoholic drinks, Pastries, Panini, and Charcuterie sourced from the highest quality ingredients imported from Italy. Eclettico entertains its’ guests with an Art Gallery as well as a Baby Grand Piano, offering live music on most weekend afternoons and some evenings. Complimentary games and Free Wifi are also available. Farm fresh honey and honeybee products available in the heart of Vancouver. Come taste test honey varietals from all across the world (from blueberry to buckwheat to fireweed to manuka), shop for handmade beeswax candles, boost your immune system with the hive’s amazing array of natural health products, or just enjoy a hot cup of tea with a drizzle of the sweet stuff. Supporting Local Free Range Farm’s, Fish Markets, and fresh Seasonal Produce to bring you the finest Greek Tapas. OPA! 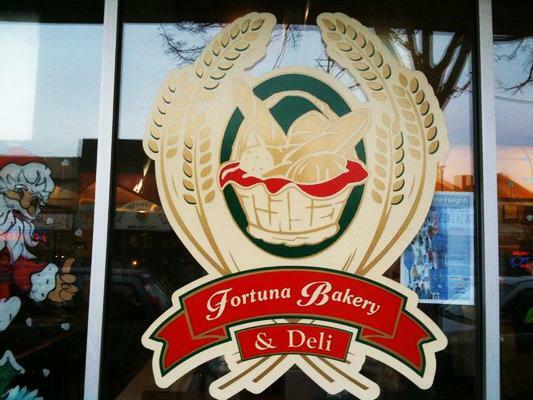 We produce a wide range of wholesome, mouth-watering baked goods and prepared foods. All are made with naturally gluten-free, cassava flour. Watch for more surprise restaurants and cafes as they are announced. Note: ALL Tickets must be purchased in advance online. All ticket sales are final. No exchanges or refunds; however you are welcome to transfer the ticket to another person for the same event if you notify us at least 48 hours in advance with name (s) of who will be attending in your place. Participating restaurants/establishments subject to change. Event produced by CMI Chat Media Inc. This is an all ages event. 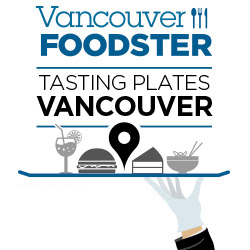 A new type of Tasting Plates is being offered by Vancouver Foodster. Come to this inaugural event! The announcement is below. The restaurants/establishments will be serving up savoury and sweet Tasting Plates for guests to enjoy and you will have a chance to visit many different types of restaurants, bakeries and other establishments throughout the walkable event, partake in a beer and wine tasting and learn about each of the participating spots. If you haven’t been to our previous Tasting Plates events, Novus TV featured one of our previous events on City Lights (view here). Visit our Tasting Plates site and view our past events, photos and more! Registration: High Point Beer Wine Spirits – this is where you will show us your printed or digital tickets and will pick up your Between the Buns Passports and menus. Our name accurately represents what we love about what we do. A celebration of quality, good times & the pride we have in our store & our neighbourhood. Serving the East Village community for over 34 years! All of the products at Italia Bakery are made from scratch, and by hand. They offer a variety of items, from bread and desserts to an excellent variety of the finest deli meats and cheeses imported from Italy. We are a family owned fish and meat market established in 2001. 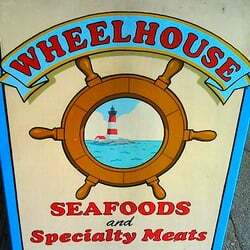 We specialize in local fish & seafoods delivered daily and free range meats. Di Oliva Tasting Bar has over 50 kinds of Extra Virgin Premium Olive Oils from around the world and Balsamic Vinegars imported from Modena, Italy. We provide delish gluten-free baked goods. From scones to muffins, BREAD, brownies and cookies we have got you covered. It’s all gluten free and DELISH! Everything is baked in a 100% gluten and nut free facility to avoid cross-contamination! Ticket price includes tasting plates at each of the participating restaurants/establishments throughout the evening on this self-guided tour. (Beverages are included at some restaurants which will be noted, you are welcome to purchase wine, beer, cocktails or mocktails at each of the participating restaurants). Join Vancouver Foodster in the Riley Park neighborhood and tantalize your taste buds at a selection of restaurants, cafes and other establishments centered in and around Main Street between 16th – 30th avenues. This evening tasting extravaganza is on Wednesday June 14 from 6pm until 10pm. Each restaurant and establishment will be serving up Tasting Plates, Cups or Bowls for guests to enjoy and you will have a chance to visit many different types of restaurants/establishments throughout the event, meet some new food loving friends, meet the chefs, and learn about each of the participating places. If you haven’t been to Vancouver Foodster’s previous Tasting Plates events, Novus TV featured one of our previous events on City Lights (view here). Registration: Main Street Honey Shoppe – this is where you will show us your printed or digital tickets and will pick up your Tasting Plates Passports and menus. Authentic Thai, with dishes from the Northern Thailand region, wonderful flavours. We sell fresh produce, local products, bulk goods, curated grocery, dairy, beverages on tap including kombucha, ginger beer, cold pressed juice, nut milks, cold brew coffee and tea, prepared salads, grab and go food. The Juicery Co is an Organic, Cold Pressed Juice & Nut Mylk Shop with tasty dishes that also delivers throughout Metro Vancouver. As a family they have decided to share their knowledge of juicing with their community to provide others with the specific nutrients they require to improve quality of life. Family/Friends 4 pack of tickets $140 ($35 tickets each) *get a group of your friends/family together and save by purchasing a 4 pack. Ticket price includes tasting plates, cups or bowls at each of the participating restaurants and establishments throughout the evening. (Beverages are included at some places which will be noted, you are welcome to purchase wine, beer, cocktails or mocktails at each of the participating restaurants). Note: ALL Tickets must be purchased in advance online. All ticket sales are final. No exchanges or refunds; however you are welcome to transfer the ticket to another person for the same event if you notify us at least 48 hours in advance with name (s) of who will be attending in your place. Participating restaurants and establishments subject to change. Event produced by CMI Chat Media Inc. This is an all ages event. Being a Burnaby resident, I like when people realize that there are restaurants east of Boundary. Vancouver Foodster has his upcoming Burnaby Heights Tasting Plates on May 17. Come out to Burnaby and see what we have to offer! Announcement for the event is below. Join us as we return to Burnaby Heights and tantalize your taste buds at several restaurants centered in and around Hastings Street. This evening tasting extravaganza is on Wednesday May 17 from 6pm until 10pm and is presented by Vancouver Foodster. Registration: tba – this is where you will show us your printed or digital tickets and will pick up your Tasting Plates Passports and menus. The Gray Olive Cafeteria is the brainchild of three brothers who come from very different professional backgrounds, yet have a singular passion for great food. It’s more than a restaurant; we’re dedicated to fostering a culture that encourages creativity and draws inspiration from anywhere and everywhere, including our guests. But above all, our mission is to provide mouthwatering cuisine with a touch of nostalgia. Glenburn is a throw-back to a simpler time and an opportunity to enjoy the simple pleasures of a hand-made dessert. Glenburn offers a wide range of ice cream treats including sundaes, milkshakes and malts. Candy and soda syrups along with nostalgic toys and treats round out the offerings. Broken rice (com tam) originally consisted of grains which were broken during the process of harvesting and cleaning the rice. Traditionally eaten by the Vietnamese working class as it was cheaper to buy, broken rice gained favour in wider circles due to its unique flavour and texture. Today, broken rice is softer in texture than it’s cast-off ancestor and has become distinctly Vietnamese. 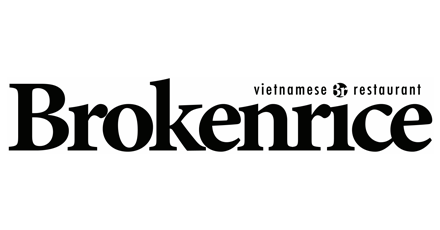 Brokenrice Vietnamese Restaurant aims to celebrate all of what Vietnamese cuisine has to offer – fresh, vibrant ingredients and delicious flavour profiles – with a contemporary approach. We are continually striving to present classic dishes using modern cooking applications and local, sustainable ingredients. Offering decadent, layered pastries, along with classic & fruit-topped cakes, plus coffee. Mac and Cheese; we all grew up with it, but as we grew up, so did the Mac and Cheese. 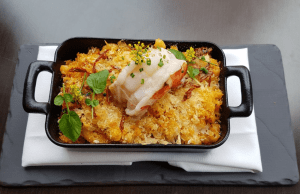 Below are creations by 4 restaurants in the Vancouver lower mainland to show us their take on Mac and Cheese. Lucky, me; I’m one of the judges. I will be sure to try to pair each dish with a glass of wine and/or beer, and be sure to tell you via Instagram and Twitter. Keep an eye for my posts. Here is the announcement from Vancouver Foodster. 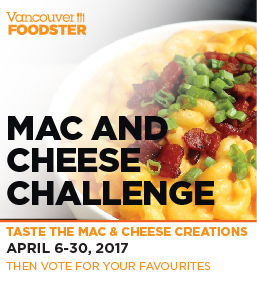 Welcome to the Vancouver Foodster Mac & Cheese Challenge. Restaurants from all over the city were invited to enter their mac and cheese into this challenge, most of the restaurants have created a special mac and cheese just for this challenge. 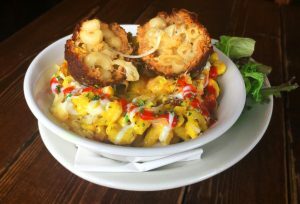 Each restaurant will be featuring their mac and cheese on their menu from April 6-30, 2017. How Does this all Work? 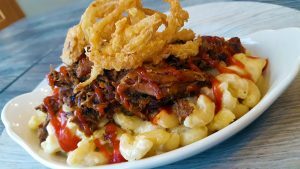 For the public challenge, you are invited to go out and order any or all of the mac and cheese creations in this challenge, then you decide who you think has the best mac and cheese creation for the People’s Choice award winners. Share your experiences: Tweet (and don’t forget to tweet or instagram your photos) throughout the challenge, our twitter and instagram address is @vanfoodster and the hashtag is #MacChallengeYVR please include this hashtag in all your tweets during the challenge. Voting criteria – some things to help you judge your favourite mac and cheese creations – keep these things in mind: originality, creativity, uniqueness, traditional, non-traditional, price, value and most importantly taste. Get some friends together and make a night of it, visit a couple restaurants or more to share and taste the different Mac and Cheese creations or go solo or with a friend – just remember to VOTE for your favourites between April 6-30, 2017. Here are the Mac and Cheese creations in this challenge, listed in no particular order other than when they were received by us. 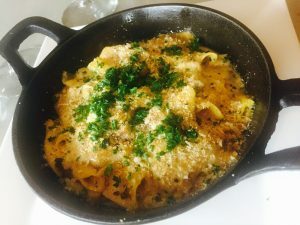 Description: Casareccia pasta, gruyere cheese, sauce maornay, twice cooked organic Fraser valley pork belly, truffle Parmesan bread crumbs. I think most cultures have at least one noodle dish. Many we are familiar with such as spaghetti from Italy or chow mein from China. Vancouver Foodster has been offering to us for a few years to try noodle dishes from around the world through his Noodle Mania event. This year’s event let us try noodles from 6 different restaurants/venues. Below are the pictures I took from each location and a brief description. Enjoy with your eyes, and if you like, go to visit them and try these dishes in person. If you want to feel healthy drop by Commodity Juicery. The zucchini noodle dish was very light and not too filling. Leaves room for other dishes along the way. Spicy is the operative word here. I did enjoy this dish. The squid was soft and not chewy. Chutney Villa’s Sri Lankan style seafood with soft noodles. A new restaurant for me. I do like Thai food. We had two different types of noodles. I think they made the food so that it was not too spicy for most people. There was chilies that you could add to your dish. I really liked the smokiness of the Chicken Pad See-ew noodle dish. I will come again to try their food at my spice level. Thailicious Tofu Pad Thai and Chicken Pad See-ew noodles in sweet soy sauce. Really nice quality food here. Spaghetti alle Vongole is one of my go-to pasta dishes. This one was done very well. The chilies added a little bite without being overpowering. I also liked the Garganelli with tomato sauce. I enjoyed the creaminess in the tomato sauce from melted butter. Not diet food. Yaletown l’Antipasto Spaghetti alle Vongole. Yaletown l’Antipasto Garganelli with tomato sauce and Parmigiano reggiano. When I visit a new Vietnamese restaurant, the first thing that I order is a bowl of Pho, which is what I did at Basil Garden. The pho is done well, and you can add Sriracha sauce for extra flavour and spice. The rare beef was well-done by the time it reached me, but it could be because of how many people were there for the Noodle Mania. A place to try again. Pho rare beef brisket and beef balls in noodle soup at Basil Garden. I am happy to see youth cooking. Skylar & Chloe were presenting their locally made tomato pasta sauce, served with fettuccine noodles. Keep supporting our children and show them good food. Skylar from Kids Can Cook Gourmet at Organic Acres grates Parmesan on their locally made pasta sauce with pasta. Vancouver Foodster took us to a brand new part of the lower mainland for his latest Tasting Plates experience, Port Moody. Located to the northeast of Burnaby, the restaurants and breweries wanted to show us what they have to offer. There are several breweries in Port Moody, and during this event we sampled craft beers from two of them; Moody Ales and The Parkside Brewery. There was also sweet and savoury at the Tasting Plates. Enjoy the pictures that I took during the event, along with my brief commentary. Starting off with savoury, we visited Spacca Napoli Pizeria and Meat Craft Urban Butchery. Spacca was very busy, and from discussions, seems to be busy all the time. They offered us a meatball, frittelle (a fried fritter that had pieces of seaweed inside), Rigatoni Bolognese, and a slice of Neapolitan style pizza. I really enjoyed the flavour of the tender meatball along with the tomato sauce. The slice of pizza was also good, but could have been served hotter. Meat Craft Urban Butchery offered us a choice of a mini-smokie in a bun topped with slaw, and a side of potato salad. Although the specialize in meat, their slaw and potato salad were excellent. One smokie was garlic flavoured, and the other two had beer from either Yellow Dog or Moody Ales. I tried the Moody Ales flavoured smokie. It was grilled lightly. You could get the flavour of the ale without it being over-powering. A place to visit to buy more smokies, kebabs or other meats for the future. With some food in me, the next stops were to Moody Ales and The Parkside Brewery. Both offered us 4 beers to taste. My preference was for the darker, brown ales, while my friend preferred the lighter lagers. Between the two breweries, and the others just down the street, there is something for everyone to enjoy. I have also been told that on weekends you can find food trucks beside the breweries, so grab a bite and a brew! After our fill of savoury food and beer, it was time for dessert. First stop was Rocky Point Ice Cream, a well-loved establishment in Port Moody, and the new Gabi & Jules pie shop. Rocky Point Ice Cream made 3 special treats for us: a mini Sweet Georgia Brown sundae, a strawberry ice cream with basil and balsamic reduction in a chocolate cup, and a mini ginger-molasses and pumpkin spice ice cream sandwich. All were very tasty. I enjoyed the sundae and the chocolate cup the most. The sandwich cookie was a little too hard, and would have been spectacular if it was a bit softer. The basil and balsamic reduction showed flair and really worked with the strawberry ice cream. I highly recommend this place for ice cream. Gabi & Jules rounded out the evening with a slice of pie; mine being apple and blackberry. Apple pie is in general my favourite type of pie. The blackberries, scattered throughout, added a floral note to the pie. It was not overly sweet, and the crust was very flaky. Enjoyed this with a cup of decaf coffee. Thanks to all the restaurants and breweries for letting us sample from them, and for Vancouver Foodster for branching out of the well-known foodie areas of Vancouver. The next Tasting Plates by @VancouverFoodster is coming up April 13. I heard that the last one held in Richmond was a great success and everyone had a good time. Don’t miss out on this event. Here is the announcement with restaurant listing. Enjoy. 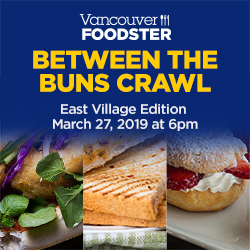 Tantalize your taste buds at several restaurants centered on Number 3 Road and area from Bridgeport to Westminster Highway in Richmond, This evening tasting extravaganza goes from 6pm until 10 pm and is presented by Vancouver Foodster. Each restaurant will be serving up Tasting Plates for guests to enjoy and you will have a chance to visit many different types of restaurants throughout the evening, meet some new food loving friends, meet the chefs, and learn about each of the participating restaurants. If you haven’t been to our previous Tasting Plates events, Novus TV featured one of our previous events on City Lights (view here). See our previous Tasting Plates Richmond dining tour here. Visit each of the participating restaurants at your leisure by bike, moped, transit, car, walking, roller skates, skateboarding or carpooling. Registration: TBA -this is where you will show us your printed or digital tickets and will pick up your Tasting Plates Cards. The apron is small restaurant with a big bite. Featuring Contemporary West Coast cuisine made with the freshest ingredients from local providers, a creatively cultivated cocktail list, and local craft beer on a rotating tap; the apron truly reflects Richmond’s finest. The apron is conveniently located inside the Westin Wall Centre Vancouver Airport Hotel and is easily accessed on through the Canada line as well as other major transportation routes. More restaurants to be added!